Bridgewater at Eagle Harbor community is sold out and is not in active development by builder. 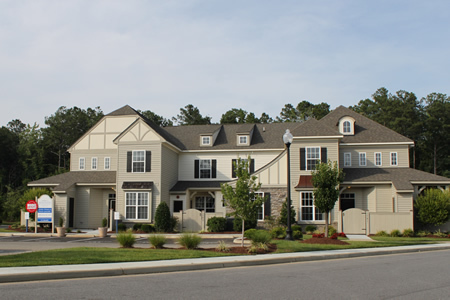 If you are interested in Bridgewater at Eagle Harbor or similar new home communities, contact us today! Our agents are very familiar with new and newer construction in Carrollton, and can identify resale opportunities in Bridgewater at Eagle Harbor, as well as builder inventory available in nearby or similar communities in Carrollton. To view more pictures, interactive maps and the full, detailed description of the Bridgewater at Eagle Harbor community, please Login. New homes in Bridgewater at Eagle Harbor give condo seekers what they want. The builders who conceived this new community thought of everything and put it all into play. Located in Carrollton, VA, this development is the place people want to come home to. Military bases such as Joint Base Langley-Eustis and Coast Guard Base Portsmouth are not far, while historic Smithfield is a hop, skip and a jump away. The new homes at Bridgewater at Eagle Harbor offer many floor plans and styles to choose from. The James River Collection is comprised of appealing two and three-bedroom homes. The Marsh Landing Collection offers nicely appointed one, two and three-bedroom homes. The builders made sure these new homes were constructed, so condo owners can live the desirable low-maintenance lifestyle. These builders really outdid themselves when it came time to providing amenities. This Carrollton condo community features Celebration Park, which is more like a resort. Owners can swim at the junior Olympic-size pool, play in the water park and meet up at the clubhouse. That’s not even the tip of the iceberg at Bridgewater at Eagle Harbor. Residents of these new homes can take advantage of the five-acre lake, grassy field, nine-hole golf course, outdoor skating rink, equipment house and games. Builders made sure they placed this oasis in a part of Virginia where residents could have big city amenities with a small town benefits. These new homes are located just a short drive from Norfolk International Airport, so catching that last minute flight should not be a problem. History buffs can enjoy the Virginia War Museum and the whole family will enjoy an outing at Huntington Park. They can walk among the gardens, fish off one of the piers, go to the beach or play a game of tennis. Buying a condo in this new home community is not just another real estate purchase. The homeowner is buying an investment surrounded by fun. Step into a lifestyle of leisure and look into getting a home in Bridgewater at Eagle Harbor today. Send me more information about communities similar to Bridgewater at Eagle Harbor. Our agents gladly offer FREE property tours of Bridgewater at Eagle Harbor, Carrollton and homebuyer consultations to all serious buyers. Our Carrollton SH Pro is prepared to represent you and your interests so you can move into your dream home.